My finished product! Not too shabby! ﻿This will be a short giveaway..... Everyone that posts a comment is entered! There will be two winners (one for each chart) and I'll draw the names the morning of March 22nd (in time for the TUSAL update for anyone who takes part in that!). A beautiful top, its looks very soft. Your sweater is beautiful and it looks great on you! 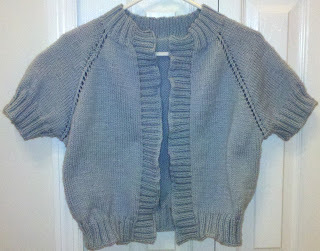 A really lovely cardigan - you knitted it really quickly. Fabulous knitting, your cardigan is so pretty. I can never get my tension right when knitting anything bigger than a babies jacket. Your knitting is amazing! 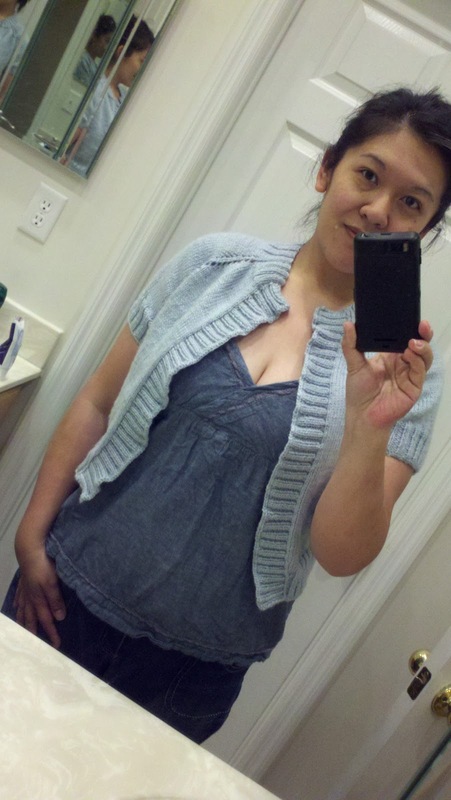 It is wonderful that you can turn a skein of yarn into something you can actually wear! Thank you for the LHN giveaway chance! Lovely little shell you made - nice to see you! 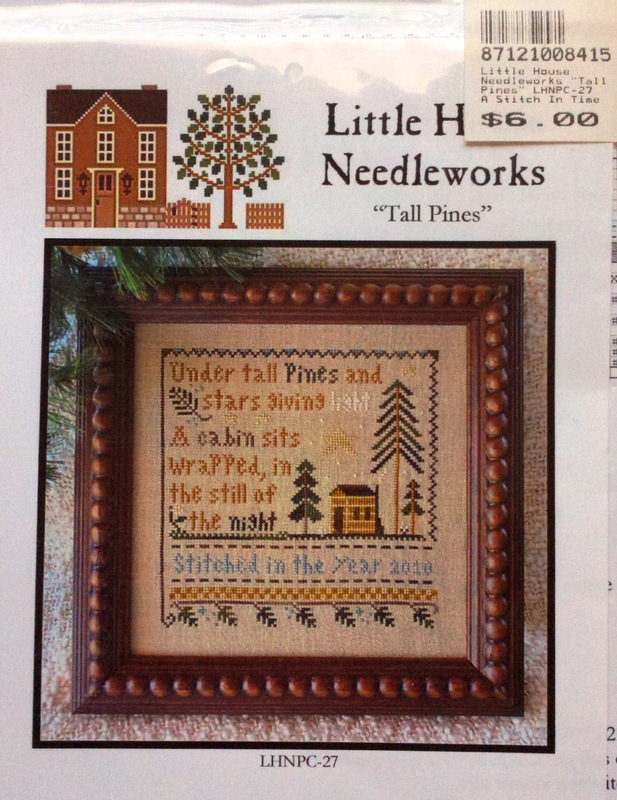 Cute little stitcheries your are offering and thank you for hosting the give away. I don't want to be entered into the drawing but I wanted to comment on your beautiful finished piece. Congrats! Love that little sweater! 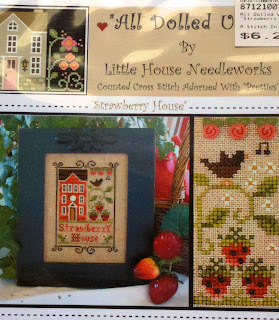 and please add my name for the Strawberry house chart! Thanks! I love your little cardigan, it's so sweet. I have a similar mass-produced one in black from a shop, I bet your's is much nicer! 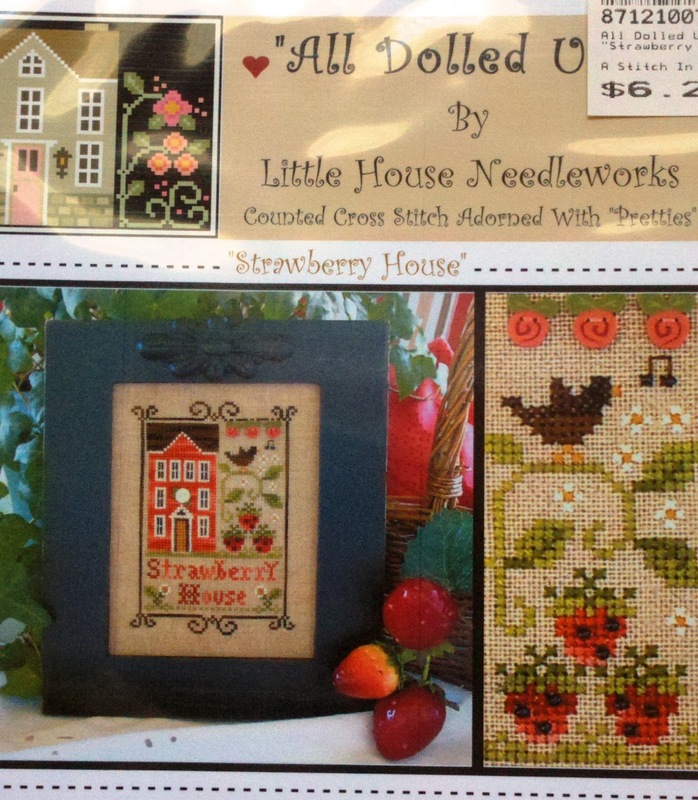 I love the Strawberry Cottage chart too. Wow that is such a pretty colour. 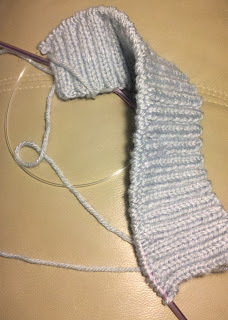 I wish I could knit. 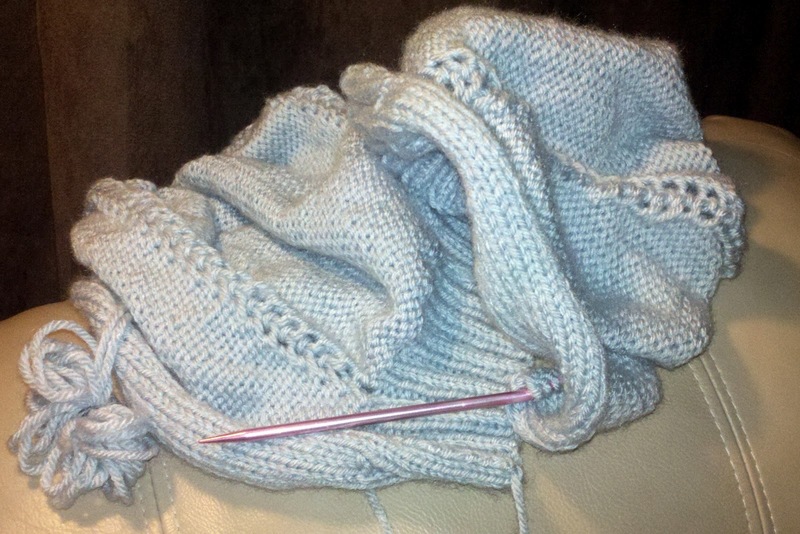 Love your knitting. 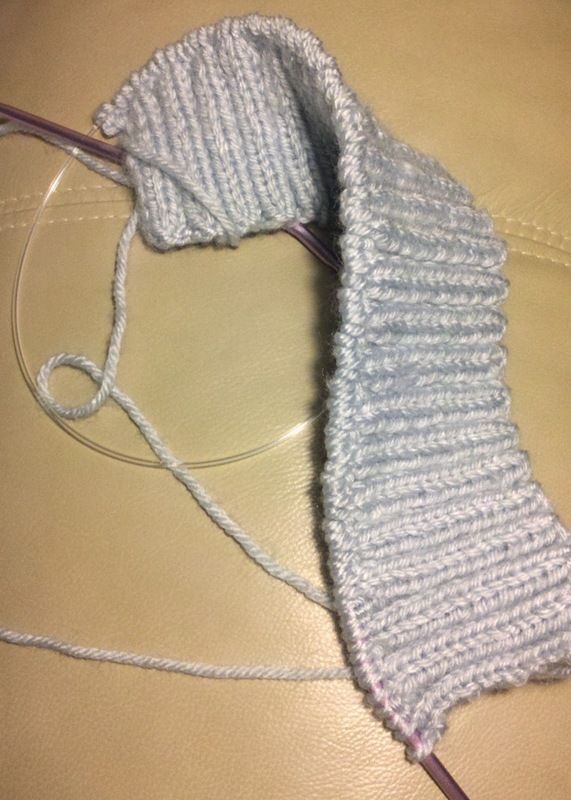 I can only knit a scarf! But please enter me into your Giveaway. I just love LHN. Hey Lesli, that's a lovely sweater! I'm into that these days.. :) warmer weather here means relaxed business attire! 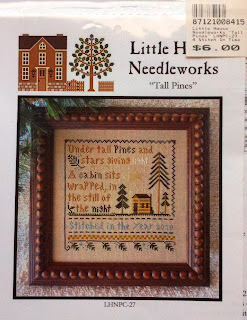 I've never stitched LHN, please sign me up for your giveaway! Your sweater is lovely and looks wonderful on you! Thanks for the chance on your great giveaway! Thanks for the lovely giveaway too! Thanks for the reminder about Tusal day. I missed last month and my jar is super full. Thanks also for a chance to win your giveaway. Lovely sweater!